All penguins are native to the Southern Hemisphere, with a range that stretches from the Galapagos Islands, where approximately 6,000 to 15,000 Galapagos penguins are found, to Antarctica.The largest populations of penguins are located in South Africa, New Zealand, Chile, Australia, Argentina and Antarctica. 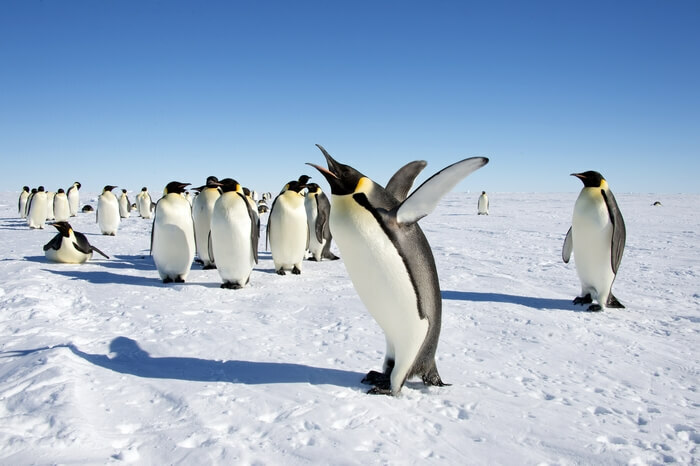 Penguins are social animals that nest, swim and feed in groups. Breeding groups are known as rookeries. A rookery of penguins may contain thousands of penguins, but mates find each other by the use of distinct calls. The mating season for penguins varies by particular species, although most breed during the spring and summer seasons, with offspring born within a month to 66 days after incubation.